Eat less; move more; live longer remains the mantra of this blog. But, of course, what we eat remains totally relevant. What are the best foods to help us achieve that goal? In this Medical News Today item, we give you an overview of some of the most healthful and nutritious foods. Often, we find praise for “superfoods” in the media – foods so high in nutritional value that they are seen as dietary superheroes. Nutritionists reject the term “superfoods” as a buzzword that can influence people to place too high an expectation on a limited range of foods when, in reality, a balanced diet and healthful lifestyle require more effort than eating your five-a-day. I hope you realize that, just as you need to start saving for retiring in your youth, you need to worry about eating well for aging well starts a lot earlier than when you are a senior. 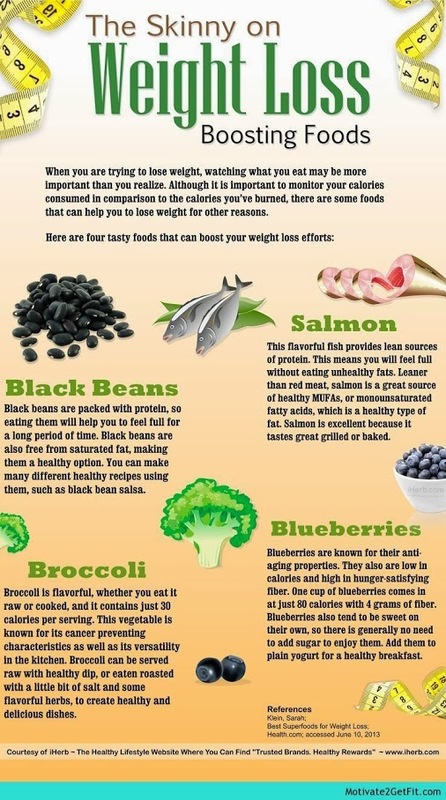 What I like about this list of super foods is that they look and sound like anything but super. Sometimes in our quest for good nutrition we overlook really good quality for exotic berries and concoctions. Clearly we can do very well by looking right in our own back yard. My only quibble with this list is that in includes olive oil, but leaves off coconut oil. Please check out my Page – Coconut Oil – Why You Should Include it in Your Diet for more on this superb food. Getting control of your weight depends on a lot of variables. How much, when and what you eat are all relevant. Here are four that you can count on. There is only a limited amount of food you can eat in a single day. In order to maximize the amount of nutrients you take in, it makes sense to spend your “calorie budget” wisely. These are the 11 most nutrient dense foods on the planet. Not all fish is created equal. Salmon, and other fatty types of fish, contain the greatest amount of Omega-3s. Omega-3 fatty acids are extremely important for the optimal function of your body. They’re linked to improved wellbeing and a lower risk of many serious diseases. On Oct 20 I wrote about Mr. Lazy Cook’s culinary adventure. He discovered a prepackaged teriyaki-marinated tuna with asparagus spears for $6. It was a heat and eat dish that required no prep and about 15 minutes of cooking time. Well, Mr. Lazy Cook returned to the scene of the crime, Mariano’s Fresh Market, the new supermarket in his neighborhood. 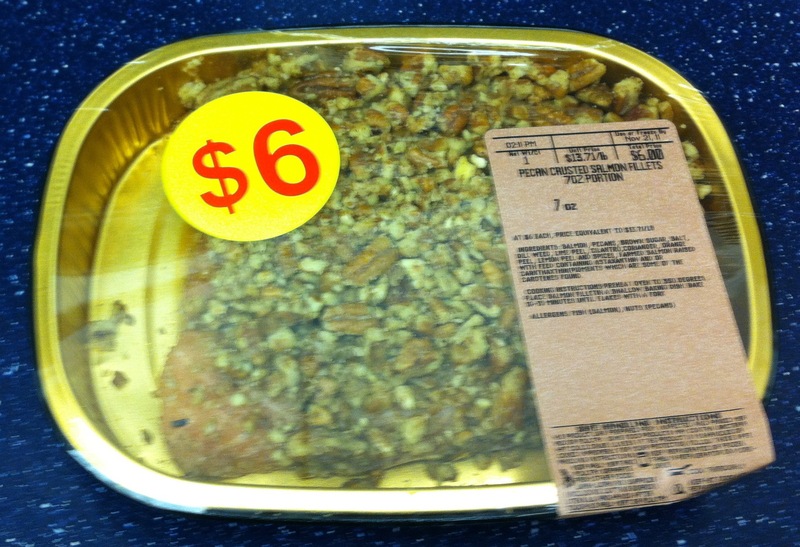 This time he found pecan-crusted salmon, again 7 ounces for $6 and 15 minutes of cooking time. They must have been thinking of Mr. Lazy Cook when they put this little dish together. I have included three photos so you can see the progression of this simple, elegant meal. Because of Mr. Lazy Cook’s limited cooking skills, the fact that this dish turned out wonderfully moist and perfectly cooked, may have included a bit of luck. At any rate, it was delicious and very filling, I was only able to finish eating about half of it. Which means I will be having a second meal of pecan-crusted salmon in the near future. I would like to say that the combination of pecan flavor with salmon was superb. 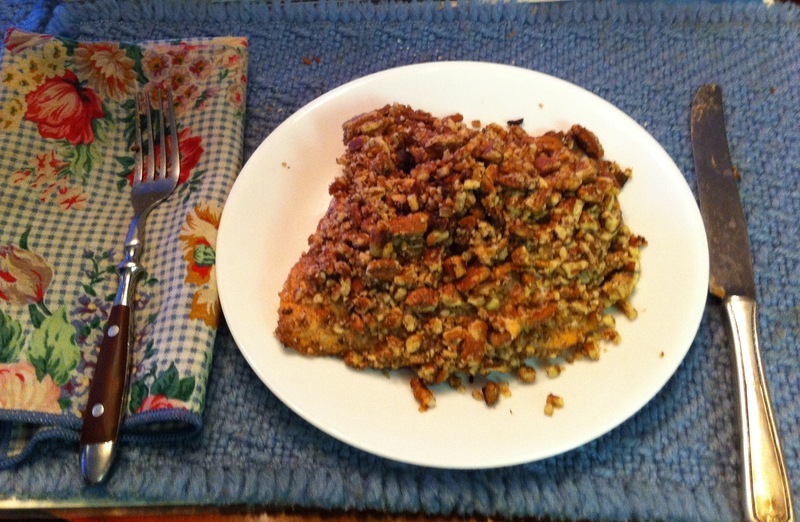 Don’t think I have ever had pecan-crusted salmon before, but I will again. If you cook from scratch try it. Nutritional breakdown 4 ounce serving of salmon from CalorieKing website. Calories 168, Total Fat 5 grams, Saturated Fat 0.8 grams, Cholesterol 76mg, Sodium 97 mg, No Carbs, Protein 28.9 grams. Calories 421, total fat 43 grams, saturated fat 3.7 grams, No Cholesterol or sodium, Carbohydrates, 9 grams, fiber 5.7 grams, protein 5.5 grams. I’m sure you have noticed the anomaly wherein the crust has more calories than the actual entree. Fortunately, pecans are very nutritious. 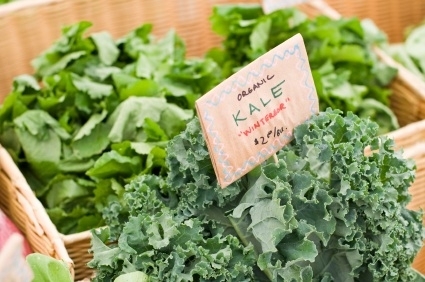 Eating Well — Can Everyone Afford It? Day Two of our New York odyssey involved an amazing sushi lunch at Iron Chef Morimoto’s latest restaurant at Chelsea Market, not far from my high school. The food (see photo below), from a “tuna pizza” – thin slices of sushi-grade tuna on a cracker crust with a great spicy topping – to an array of sushi to a Morimoto branded beer, was just outstanding. I tried to find out if the fish were bought with an eye to sustainable sourcing but didn’t get much information on that front. The lunch was a wonderful reminder that relatively untouched great ingredients, sushi is raw after all, although rice is involved, can be amazing. It was expensive, of course, which brings up the topic of whether poorer people can still eat healthy in our society that offers cheap junk food but makes people pay more for healthier fare. Discuss among yourselves, I’m going to savor the memory of lunch a bit longer.